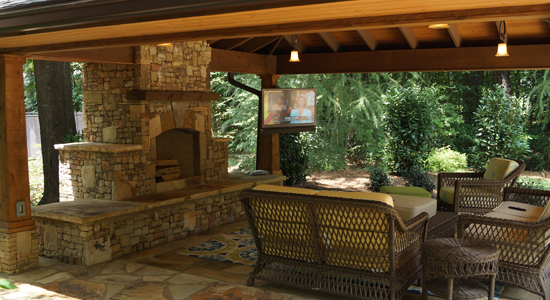 In North Carolina, outdoor living is easy for three seasons. 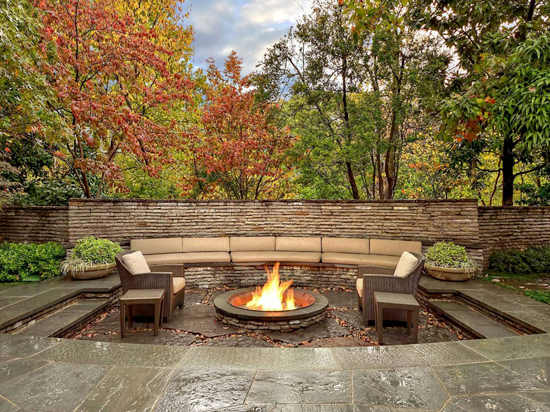 Adding a fire pit or outdoor heat lamps even makes winter enjoyable. Say goodbye to cabin fever and spend some time in the fresh air. With the right furniture, landscaping and a few other elements, take advantage of yard space and extend your home to take advantage of nature. 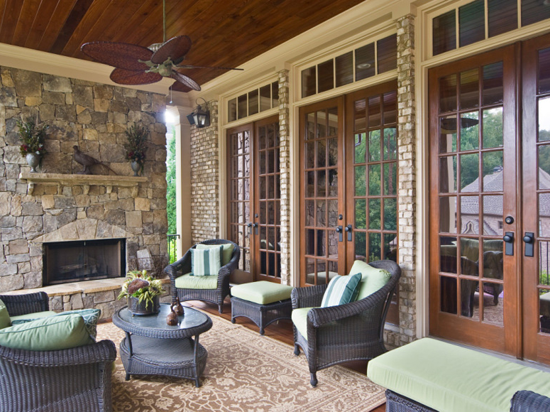 Get creative– no need to settle for a simple patio or deck. 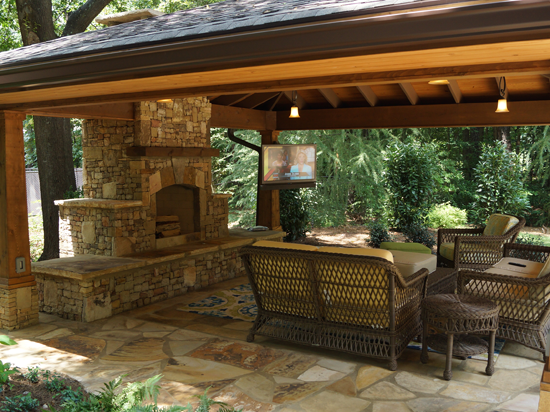 Today, building an outdoor living room or kitchen is the best way to extend your living space. Then choose from the dozens of choices of flooring, lighting, shade, appliances and furniture to embellish your new space. Adorn your area with gardens to ponds and fountains that can provide atmosphere. 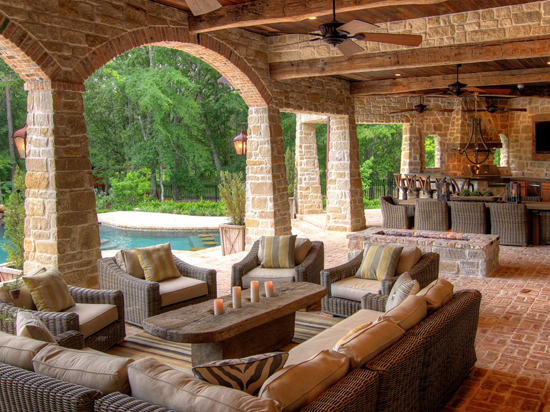 And a well-designed outdoor living area can boost the resale value of your home, too. 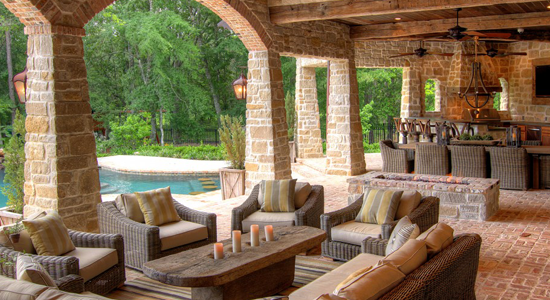 The odds are good that you’ll find outdoor materials that complement your interior design. You may wish to stick to understated colors — remember that you can use plants and other accessories to add more vibrant colors to your design and it’s easy to rearrange them. Below you will see an added porch and extended roof that works well with the architecture. 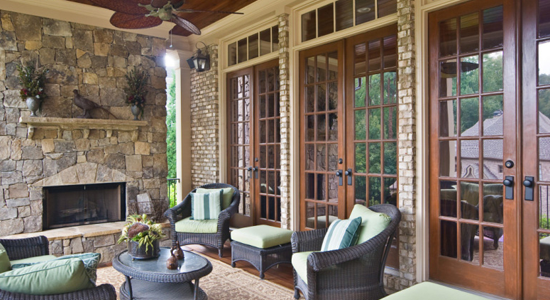 Just as important as your home’s style is the layout of your yard. Measure your space and take into consideration elements like steep hills, gentle slopes, and any trees or other large plants. 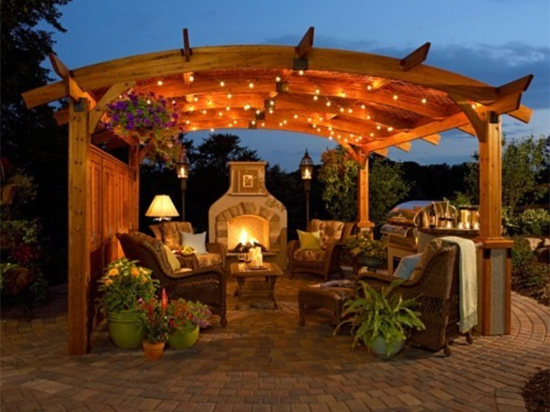 You’ll want to take all that into account before you begin to build out your outdoor living area. Will you be entertaining mainly in the evening? Make sure you note where the sun will be at that time of day before designing the area. You won’t want your guests blinded by the light. Taking note of these items early will help you avoid problems in the future. We’re way beyond simple charcoal barbecue grills now. 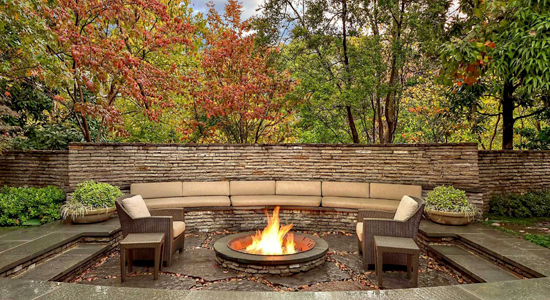 Today, you can buy and install everything from a simple, portable fire pit to a permanent fireplace complete with hearth. If outdoor cooking is your passion, consider a barbecue pit, outdoor pizza oven or even a fully-fledged outdoor gas stove. 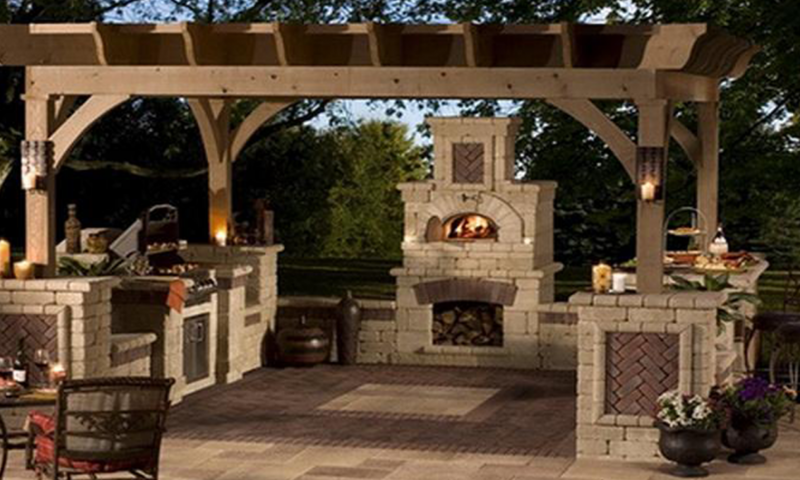 An outdoor kitchen can become a comfortable place for friends and family to gather. Lighting and plants can lend your space an almost magical atmosphere. Explore different lighting options. 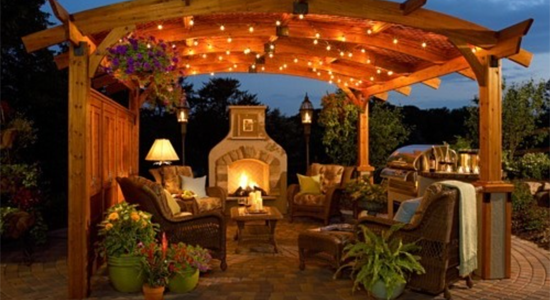 Placing lights in trees or along pathways can give your space an enchanting appearance. Plants can help accentuate your space and give it color. And it’s easy to swap out one plant for another if the style isn’t quite right for you.